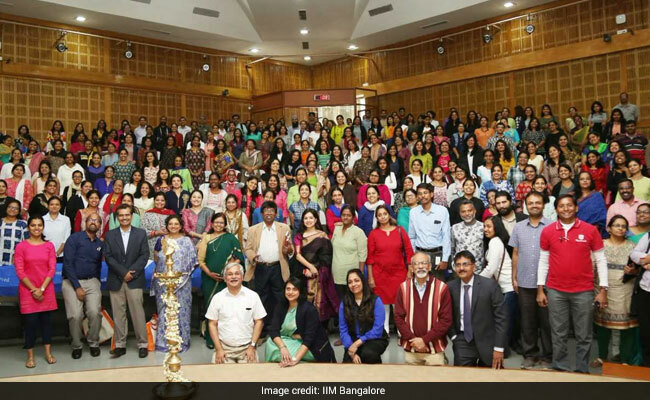 Indian Institute of Management Bangalore (IIMB) has launched 'Women Startup Programme'. With an aim to train budding women entrepreneurs, the NS Raghavan Centre for Entrepreneurial Learning (NSRCEL) at IIMB has propelled this programme with funding from Goldman Sachs and the Department of Science & Technology, Government of India. New Delhi: Indian Institute of Management Bangalore (IIMB) has launched 'Women Startup Programme'. With an aim to train budding women entrepreneurs, the NS Raghavan Centre for Entrepreneurial Learning (NSRCEL) at IIMB has propelled this programme with funding from Goldman Sachs and the Department of Science & Technology, Government of India. The programme will begin in January- March, with the training of 12000 aspiring entrepreneurs through its five-week "Do Your Venture" Massive Open Online Course (MOOC). "Building off the positive feedback from our pilot programme, we have been keen to expand our work to help women across the country. Our vision and goal is to offer a technology-based and scalable training programme for female entrepreneurs that will address their needs and tap the potential of our vast country. 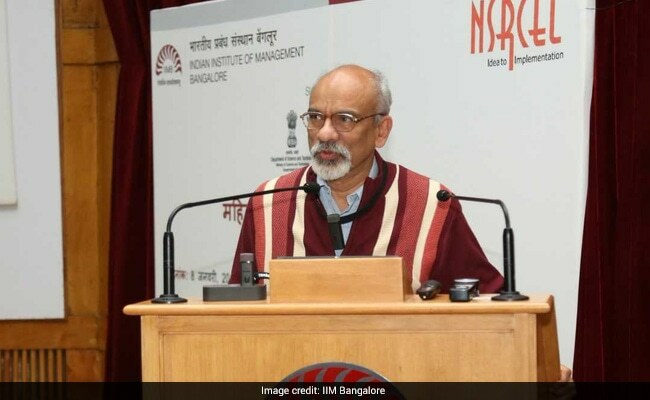 Now, with the inclusion of additional partners to expand the ecosystem of this programme nationwide, it has become a reality," said Professor Suresh Bhagavatula, Chairperson, Entrepreneurial Ecosystem Development, NSRCEL at IIM Bangalore. After the completion of the five week course 300 entrepreneurs-to-be will be selected for a boot camp in April where they will be given classroom learning on communication and customer interaction. Thereafter in May, 100 of them will be selected for a second boot camp where the soon-to-be entrepreneurs will also be trained on developing a business plan, understanding costing and pricing, sales and marketing, and working on negotiation skills; here they will also get networking opportunities with successful women entrepreneurs, venture capitalists, IIMB students, and Goldman Sachs professionals. CIIE's Innocity, Ahmedabad, IIM Indore, IIM Nagpur, IIM Udaipur, IIM Visakhapatnam, and Presidency University, Kolkata will be the partner institutions where the women entrepreneurs will have their business ideas incubated for a year, post second boot camp, with a financial support of Rs 30000 per month and funding support from a small prototype fund. 'The Department of Science & Technology sees the proven 'Women Start-up Programme' as part of the national 'Start-up India' and 'Stand up India' initiatives. We believe it will further foster an enabling ecosystem for women entrepreneurs while also serving to build a new pipeline of female talent throughout the country,' said Dr. Anita Gupta, Scientist - G /Adviser and Associate Head at the National Science & Technology Entrepreneurship Development Board in the DST. 'The WSP builds off from a successful pilot programme launched in November 2016 by the NSRCEL which drew more than 1,700 aspiring female entrepreneurs from across the country. The pilot programme selected 50 women entrepreneurs and from there 15 of the top ideas were selected to be incubated. Among the top 15 ideas selected last year for incubation, Ntalents.ai, which uses data to assist companies discover their top sales talent and was founded by Deepika Anu and Mayank Sharma, has successfully become a revenue generating venture with clients that include NestAway, Zoojoobe, JustOrganik, and EAI Consultancy, reads the official statement from IIM Bangalore. 'This initiative will empower female entrepreneurs, who will create jobs and in turn strengthen the foundations of our communities. In time, we hope to work with many of them on 10,000 Women, a global program which our firm has brought to India that provides a business education and access to capital,' said Sonjoy Chatterjee, Chairman and Co-CEO of Goldman Sachs in India.